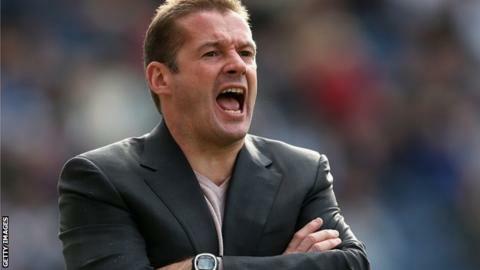 Yeovil Town came from behind to claim their seventh successive league victory and increase the pressure on Preston North End manager Graham Westley. Preston scored when Jeffrey Monakana passed to Chris Beardsley, who spun his marker and fired low into the corner. But the hosts grabbed three goals in the last 17 minutes to win the match. James Hayter prodded home an equaliser from Paddy Madden's cross, Nathan Ralph made it 2-1 pouncing on a loose ball, before Madden poked in a late third. However, Preston should have earlier gone 2-0 ahead but Beardsley's header was saved by Marek Stech. North End had only won once in their previous 13 league games and last week Peter Risdale, employed as an advisor by the club's owner Trevor Hemmings, revealed he expected the club's results to improve. But this latest defeat, Preston's sixth in seven games in all competitions, leaves them only five points above the League One relegation places. "It was nice. We looked a strong club again. "We went 1-0 down so we gave Preston a little carrot to make them want to keep going. "[Nathan] Ralph and [Lewis] Young have just spent five months in the gym, working so hard with two really bad injuries. "It was fantastic to see them back and creating opportunities."